The Derrygonnelly missed a final chance to steal the victory against Cavan Gaels. A REPLAY WILL be required to find a winner between Derrygonnelly and Cavan Gaels in the Ulster club SFC semi-final. The sides played out a low-scoring 0-12 apiece draw after extra-time in Clones. Cavan Gaels found themselves leading by 0-10 and 0-6 after 40 minutes, but the Fermanagh champions kicked the final four points of the game to force the extras. Former Cavan star Martin Dunne traded scores with Derrygonnelly’s Gary McKenna in a tense extra-time period. Paul Ward edged Derrygonnelly a point in front in the second period, before Darragh Sexton levelled the game with four minutes left. Paul Ward hit a late free wide, as the Fermanagh kingpins missed a final chance to steal the victory. Scorers for Derrygonnelly: Paul Ward 0-5 (3fs), Garvan Jones 0-2, Gary McKenna 0-2 (1f), Ryan Jones 0-1, Conal Jones 0-1, Declan Cassidy 0-1. Scorers for Cavan Gaels: Martin Dunne 0-4 (2fs), Levi Murphy 0-2, Paul O’Connor 0-1, Andrew Graham 0-1, Niall Smith 0-1, Darragh Sexton 0-1, Declan Meehan 0-1, Sean Johnston 0-1 (f). 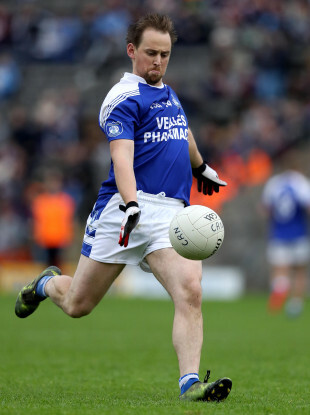 Email “Extra-time couldn't separate Fermanagh and Cavan champions in Ulster semi-final”. Feedback on “Extra-time couldn't separate Fermanagh and Cavan champions in Ulster semi-final”.